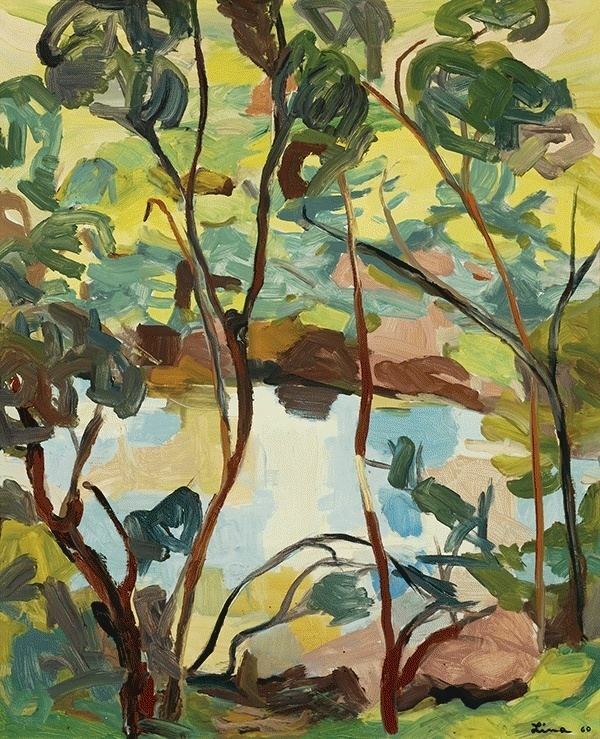 Llna Bryans (26 September 1909 – 30 September 2000), was an Australian modernist painter. Lina Bryans was born in Hamburg, Germany, on 26 August 1909, second daughter of wealthy prosperous Michaelis-Hallenstein family of industrialists, Australians Edward and Lina Hallenstein who were then visiting Europe. The following year they settled in Toorak, Melbourne, Victoria and Lina grew up moving between Australia, England and France . She used her knowledge of French to work as a translator. She married Baynham Bryans in 1931 and they had a son, Edward (24-6-1932– 23-3-2010), who made his name as a newsreader on ABC radio and television. The marriage broke down and Lina moved to South Yarra in 1936. 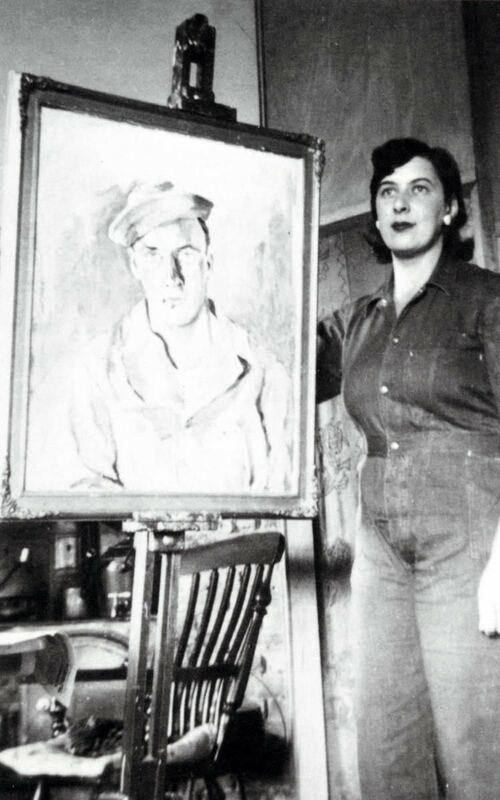 She met Jock (William) Frater and decided with his help and encouragement to become a painter. She'd had no involvement with art before. 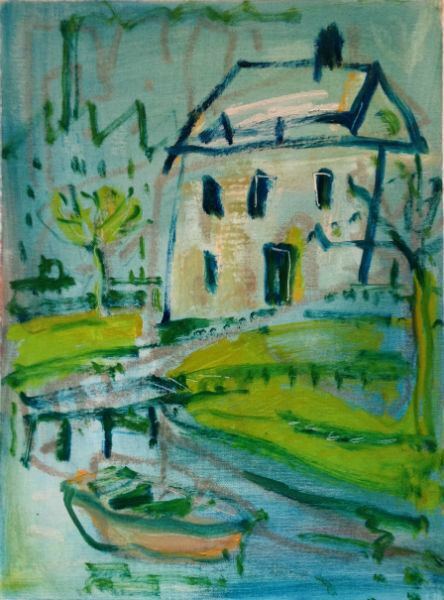 Her interest was probably encouraged in the early years by Iain MacKinnon, the Scottish watercolour artist who introduced her to modern French art, and took her to galleries and exhibitions. A modernist, Bryans was associated with Frater's circle which included Ada May Plante and Isabel Hunter Tweddle. 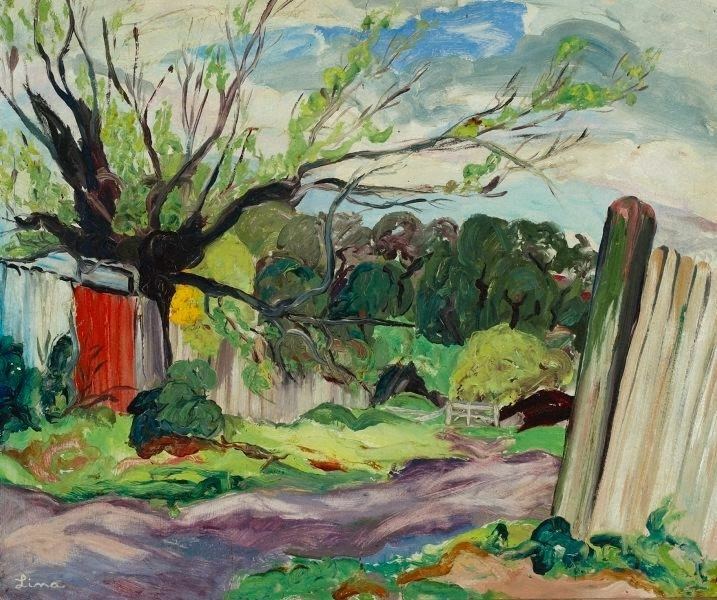 Her first works were painted early in 1937 and Basil Burdett selected her Backyards, South Yarra in 1938 for the Herald Exhibition of Outstanding Pictures of 1937. Her work was included in Burdett’s article in Studio (1938) and in the exhibition, Art of Australia 1788-1941, shown at MOMA (New York) in 1941. Bryans went to live in Darebin Bridge House, a converted coach-house at Darebin, in the late 1930s, joining Ada May Plante. Bryans subsequently purchased it using her inheritance, painted and decorated it distinctively and named it "The Pink Hotel". It became an artists' colony for Bryans, Plante, Frater, Ambrose Hallen and Ian Fairweather and other artists. It was a centre for a group of writers associated with the journal Meanjin, from whom Lina's son Edward developed his interest in journalism. Nevertheless, as Forwood notes (2001), her portraits 'best reveal her contribution to Australian art’, moreover, 'her seventy-three portraits of friends engaged in the world of art and letters form a pictorial biography of Bryans herself’. 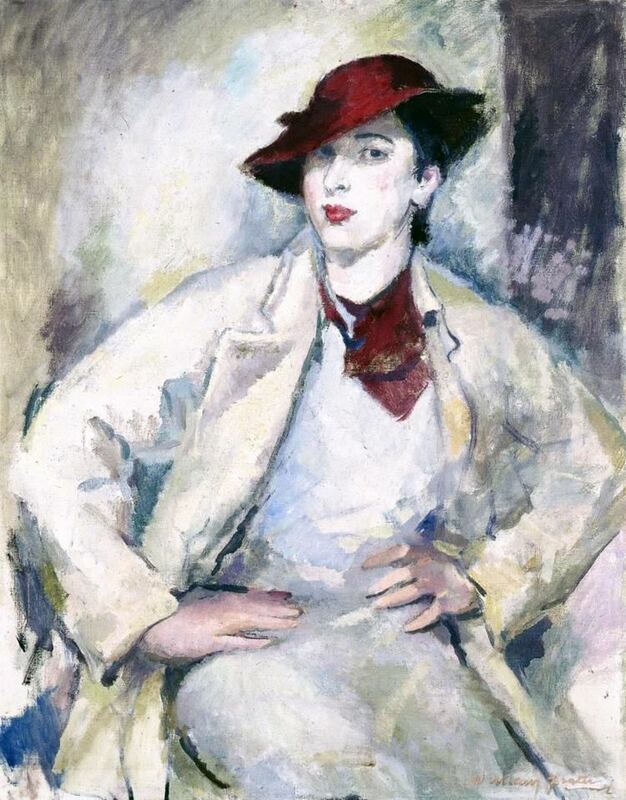 Her well-known portrait of Australian writer Jean May Campbell, The Babe is Wise, (named after Campbell's novel of the year before) was painted in 1940. It is held in the National Gallery of Victoria collection. Bryans was a member of the Independent Group. 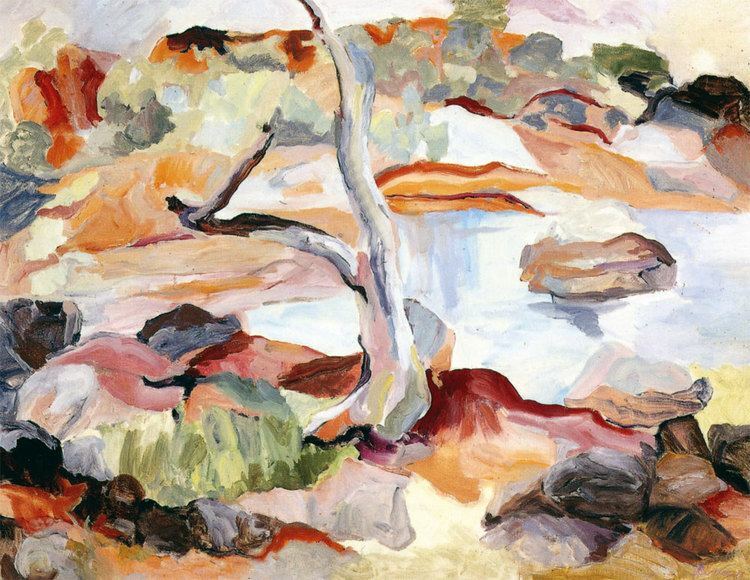 In 1991 she rejoined the Melbourne Society of Women Painters and Sculptors, which she had first joined in 1940 and quit in 1966. 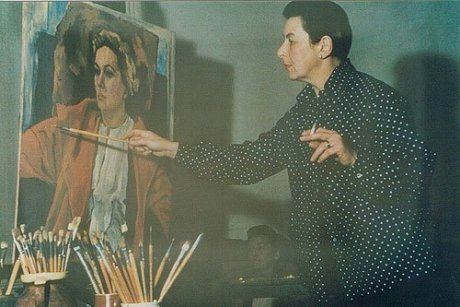 In the 1960s, as a guest exhibitor, she was one of the most important and professional artists associated with the Society, and critics consistently placed her works at the forefront of MSWPS group shows. In 1966 one faction of the MSWPS was anxious to see the high-standing artist Lina Bryans elected president for her dynamic outlook. 1948, 1966 Georges Gallery, Melbourne. 1995 Survey exhibition at University of Melbourne.